We have a fairly new crop of hyperlocal media outlets and blogs popping up in Charlotte. I put together a quick recap in case you are interested in following along (and many of you already are!). Though most of these have significantly smaller audience numbers than traditional media outlets, they can often have a very targeted audience (for most of these, it’s a millennial and Gen X audience, well connected and engaged, local). If you know of other sites or outlets, please let me know and I’ll add them to my list! Charlotte Five – launched in 2014 by the marketing/advertising department at the Charlotte Observer. Has about 5,000 views per day. Mission is to “make Charlotte the smartest and most connected city in the world. Great cities matter.” Here’s a Nieman Lab story about the format. Publish Charlotte’s “top 5 news and entertainment stories” each day at 7am. Sign up for newsletter here. Charlotte Agenda – newly launched site and newsletter that publishes a handful of short articles each weekday morning and afternoon. Founded by Ted Williams, who started Charlotte Five a few months ago (see above). Stated mission is to “make Charlotte the smartest, most human city in the world” (sound familiar?). Topics include neighborhoods, beer, entrepreneurs, cool jobs, and working out. UPDATE: Views are now hovering in the 10,000/weekday range. This popular story about Chantilly has 3,600 views so far. Sign up for newsletter here. From Ted: We have no interest in scaling to other cities – instead of going wide we want to go deep. We bleed Charlotte. We’re in love with this city. We Love CLT – Site launched in 2014, with mission “to support and bring together a community that isn’t defined by the industry you work in, the people you know or the place you are standing at this very moment.” This group hosts a speaker series once a month, plus a weekly newsletter sent each Friday. Click here to sign up for the newsletter. They encourage people to share online using #WeLoveCLT. 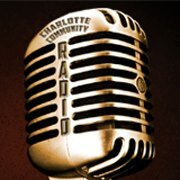 Charlotte Community Radio – newly launched non-profit local digital radio station, site and newsletter run by volunteers. They want to provide “a forum for people, issues and events that traditionally lack media access by promoting user-generated content and citizen journalism in an effort to engage the local community.” Arts, cultural and music programming will be produced or hosted by local artists, performers, musicians, storytellers, DJs, etc. Number of listeners/viewers unknown. Detailed Block (thanks James for the tip!) – founded by local Charlotte residents and entrepreneurs who desire to change how local media is viewed and consumed. The site strives to connect the community with information pertaining to high growth Charlotte startups, while providing a quick snapshot of important news and discussion about the entrepreneurial ecosystem. Offline Media (thanks Andrew for the tip!) – says their mission is “challenging people to live more interesting and memorable lives.” (a little vague, but it’s essentially a curated list of events and happenings by place). This is a great list. I have been thinking recently about the increase of local attention and interest around our very own community. I hope to see Queen in the Queen City Blog featured someday. Love your #mycharlotte shout out! Keep up the great content my friend! Thank you Laura! Tons of great content with #mycharlotte – you do good work.